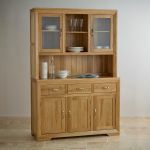 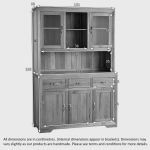 The Bevel Natural Solid Oak Large Welsh Dresser is the ultimate storage unit; with three drawers, two concealed cupboard areas and an upper display section. Made from premium grade solid oak, it boasts a wonderfully bevelled frame with expertly mitred corner joints and angled feet. 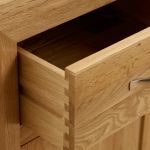 The generously-sized drawers are ideal for storing linen or cutlery and have all been made using robust dovetail joints with solid oak backs and bases. 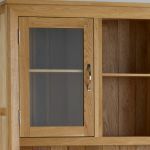 Each cupboard space, including the upper glazed cupboards, features a solid oak shelf which can be easily adjusted to accommodate all manner of items. 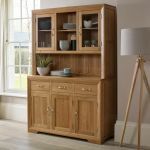 Quality touches include contemporary brushed metal handles, subtly inset panels and a clear wax polish finish for a long-lasting lustre. 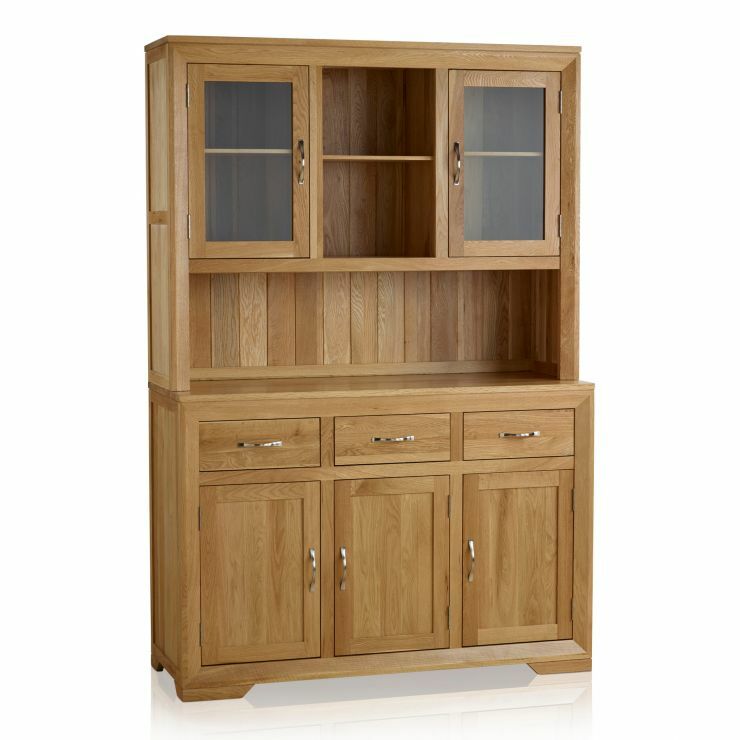 Check out the rest of the Bevel Solid Oak range to discover items for every room in your home.